Custom Home Builder owned and it shows!! 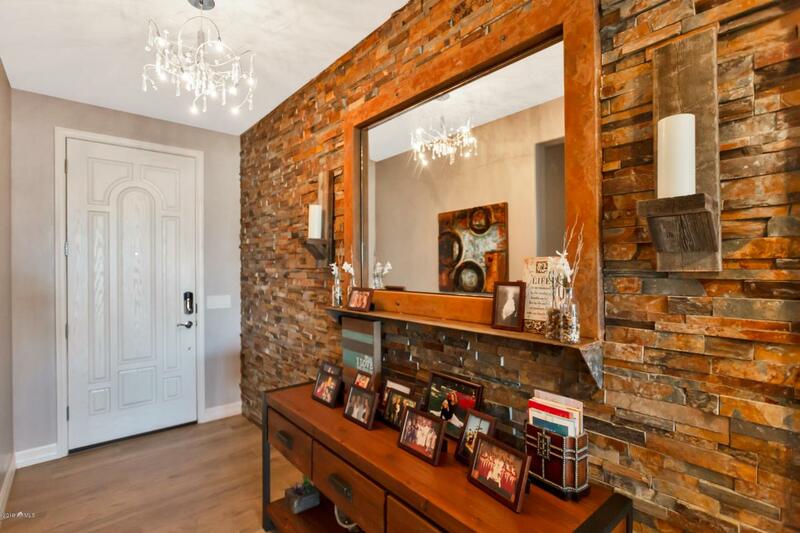 Stunning custom contemporary interior, top to bottom, inside and out. 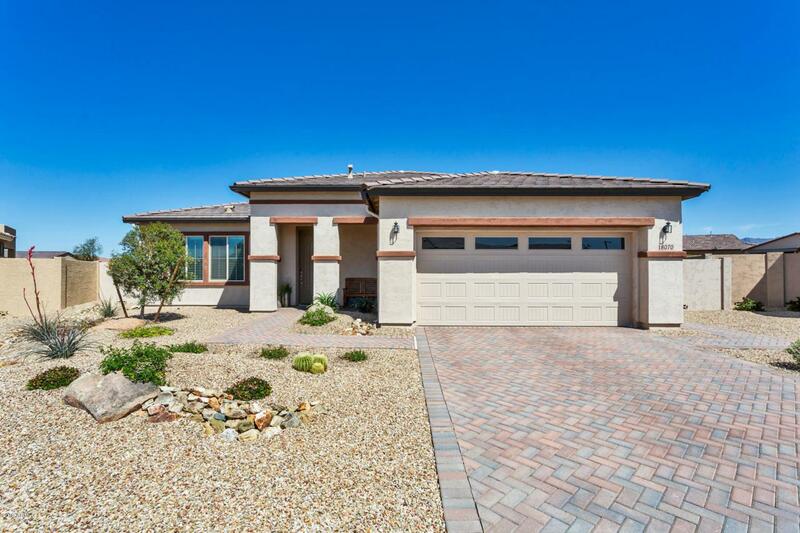 Home boasts three bedrooms and three baths. All three baths have custom tile work. 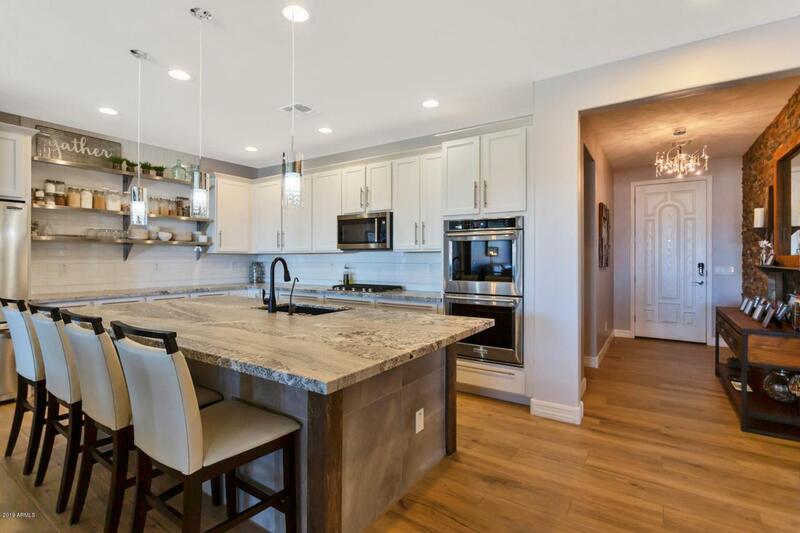 The chef's kitchen boasts custom open shelving, white painted cabinetry, satin finished granite, granite composite sink, over-sized white subway tile & stainless appliances (gas cook-top). Built in bar with wine/beverage center. Gorgeous hickory wood look tile. Custom metal work on island, family room shelving & foyer mirror/shelf. More custom metal work in the dream backyard. Twenty-four foot fireplace with dual fountains, stone and metal bar with pergola, travartine tile & gorgeous water and mountain views. 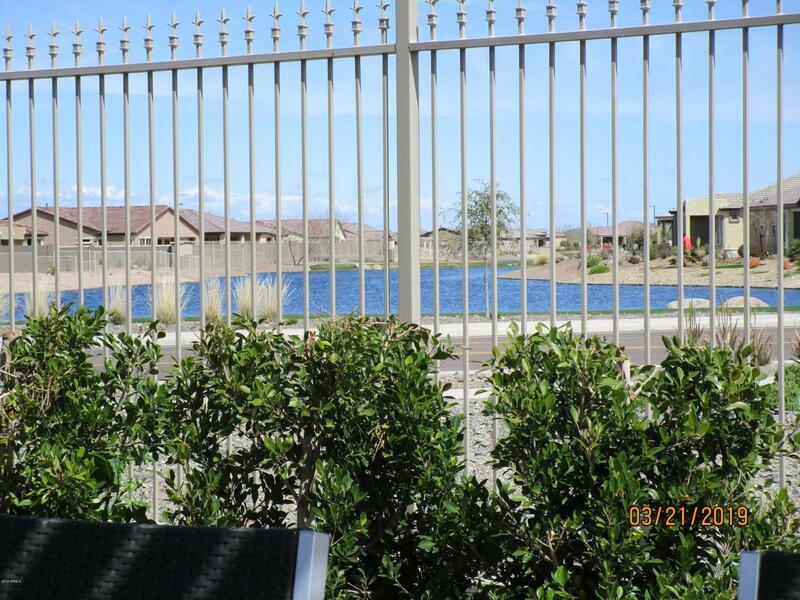 Come join Canta Mia, a desert community of young 55+ residents enjoying life!